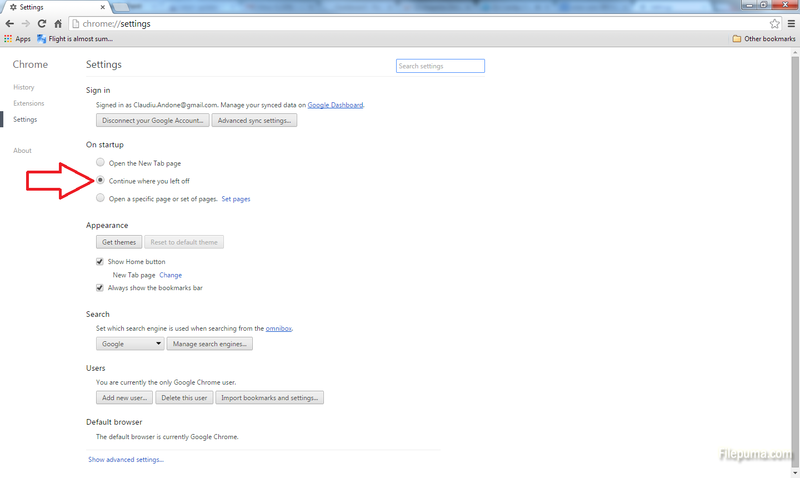 How to save the browsing session in Google Chrome? Last week, a friend told me that he can’t cope with the huge list of bookmarks. I found out that he was bookmarking almost every page because, I quote, “how am I suppose to remember all those addresses if the tabs in my browser disappear every time I close the browser?”. A real problem with a simple answer. Step 1: In Google Chrome browser, click on the control button (the three small parallel lines on the right of the address bar). 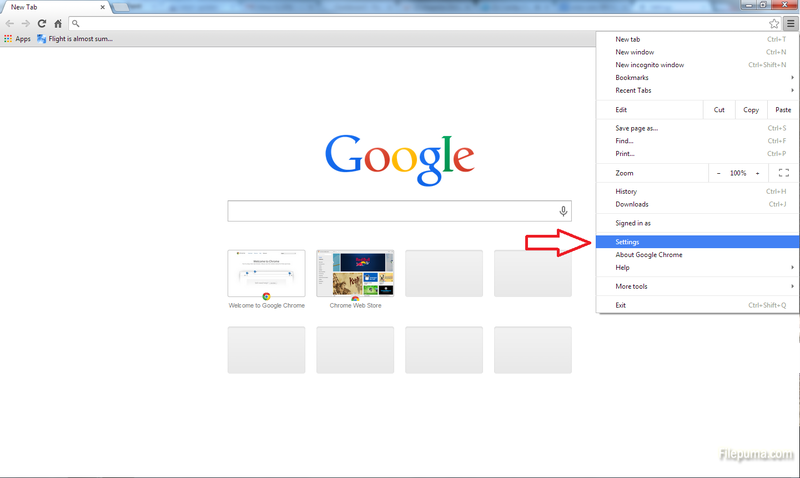 Step 2: Select the “Settings” option from the drop down menu. Step 3: Check the “Continue where you left off” box. 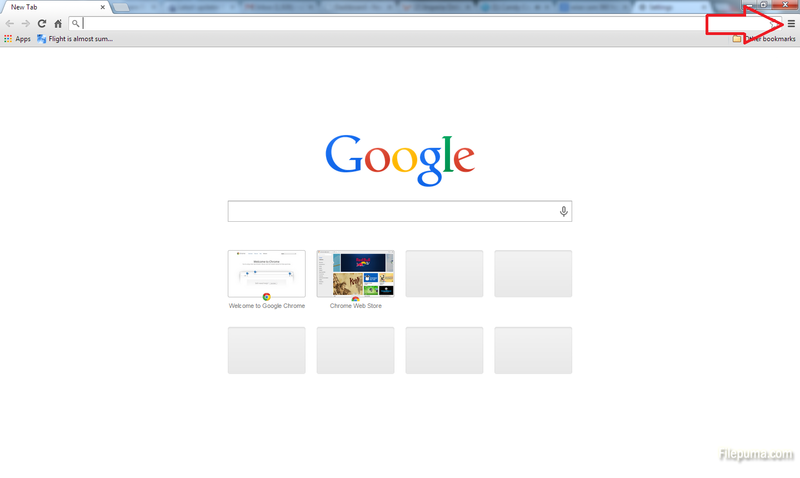 Now, every time you start Google Chrome, the tabs from the previous browsing session will be loaded. You can also choose the next box, to open a set of web sites, the same every time you open the browser.